During jury selection, some potential jurors can be removed “for cause” – that is, when a judge believes that a juror cannot be impartial in deciding the case. The lawyers trying the case also have a certain number of “peremptory strikes,” which allow them to reject jurors without providing a reason. However, the Supreme Court ruled in Batson v. Kentucky that prosecutors cannot use their peremptory strikes to remove prospective jurors from the jury pool based only on the jurors’ race. Next week the Supreme Court will hear oral argument in the case of a Mississippi death-row inmate who was convicted by a jury that included just one African-American juror. The inmate, Curtis Flowers, argues that the jury selection in his case violated the Constitution; in particular, he contends, the lower courts should have considered the lead prosecutor’s history of racially motivated strikes. The 2010 trial at the heart of the Supreme Court proceedings was the sixth time that Flowers – who is African American – had been tried for the 1996 murders of four people in a Mississippi furniture store. The local district attorney, Doug Evans, served as the lead prosecutor at all six of the trials. At each of his first two trials, Flowers faced only a single murder charge. Evans used his peremptory strikes to eliminate all 10 potential African-American jurors. Flowers was convicted and sentenced to death, but both convictions were later reversed by the Mississippi Supreme Court, which found that Evans had engaged in intentional misconduct, such as introducing evidence of the other murders. At his third trial, Flowers was convicted and sentenced to death for the murder of all four victims. But the Mississippi Supreme Court also overturned those convictions. Evans had used all 15 of his peremptory strikes to remove African-American members of the jury pool, the state court ruled, in violation of the U.S. Supreme Court’s decision in Batson. When Flowers stood trial a fourth time, Evans used 11 peremptory strikes to remove potential African-American jurors, resulting in a jury with seven whites and five African-Americans. That jury deadlocked, as did the jury in Flowers’ fifth trial; Evans used five peremptory strikes in that trial, but there is no record of the race of the jurors whom he struck. At Flowers’ sixth trial, six of the 26 potential jurors in the jury pool were African-American. Evans allowed the first one to be seated but then struck the next five prospective African-American jurors, resulting in a jury of 11 white jurors and just one African-American. Flowers was convicted and sentenced to death for all four murders. After the Mississippi Supreme Court upheld Flowers’ conviction and sentence, Flowers asked the U.S. Supreme Court to weigh in. The justices sent the case back for the state courts to take another look in light of their 2016 decision in Foster v. Chatman, holding that the use of peremptory strikes to remove potential African-American jurors, as reflected in prosecutors’ notes, was unconstitutional. On remand, the state court again upheld Flowers’ conviction and sentence. Flowers returned to the U.S. Supreme Court, which agreed last fall to take up his case. In their briefs in the Supreme Court, Flowers and his supporters emphasize that Evans has a “lengthy and stark” record of striking African-American jurors. During his 25 years in the district attorney’s office, the NAACP Legal Defense & Educational Fund notes, Evans has “used peremptory challenges on African American jurors at 4.4 times the rate of white jurors.” And in his prosecutions of Flowers specifically, Flowers stresses, Evans used his peremptory challenges to strike virtually all the African-American jurors that he could. During the first four trials, he struck 36 African-American jurors; during the sixth trial, he allowed the first African-American juror to serve – no doubt, Flowers suggests, because Evans had learned from the previous trials, in which Flowers’ convictions had been reversed, and wanted to hide his true motives. But Evans then struck the remaining five, offering what Flowers characterizes as excuses for removing them. What’s more, Flowers continues, Evans asked potential African-American jurors more questions than their white counterparts, presumably to look for possible bias: He asked the five potential African-American jurors whom he struck a total of 145 questions, while he asked the 11 white jurors who were seated on the jury a total of 12 questions. And Evans cited relationships with either Flowers’ family members or defense witnesses as reasons for striking African-American jurors, even though white jurors who were seated on the jury also knew family members or defense witnesses. Evans also “made no effort to follow up when white panelists disclosed facts or circumstances suggestive of bias,” Flowers says, but Evans “worked hard” to show that African-American jurors were biased because they had been sued over money owed to the business where the crime occurred, even though the lawsuits had been resolved long ago. The state urges the justices to allow Flowers’ convictions and death sentence to stand. If Flowers were to win here, it argues, it would essentially mean the end of any peremptory challenges whenever a prosecutor has ever violated Batson in the past. But that can’t be right, the state asserts. When the Mississippi Supreme Court found that Evans had violated Batson during Flowers’ third trial, Flowers got a new trial. Flowers should not automatically be entitled to another new trial now based on that same violation, the state maintains. Instead, what matters is what happened in his sixth and most recent trial. Of course, the state acknowledges, a prosecutor’s past can be considered if it is relevant – and the lower courts did consider it in this case. But, as the lower courts concluded, Evans had valid reasons, unrelated to race, for striking each of the five African-American jurors. For example, one juror worked with Flowers’ father and had been sued by the furniture store after the murders. Another juror worked with Flowers’ sister and raised doubts in her jury questionnaire about whether she would impose the death penalty. By contrast, none of the white jurors who were seated on the jury worked with any of Flowers’ family members, had been sued by the furniture store or expressed doubts about the death penalty. Finally, the state stresses that appellate courts should defer to the trial court’s conclusions about whether a prosecutor’s decision to strike a juror was truly unrelated to race. Because the trial court is able to observe the prosecutor in person and is therefore in the best position to review the prosecutor’s credibility and demeanor, the state explains, appeals courts should only overrule the trial court’s conclusions when they are clearly wrong – which, the state argues, they were not in this case. 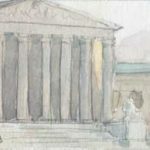 The post Argument preview: Justices to weigh allegations of racial discrimination in jury selection appeared first on SCOTUSblog.